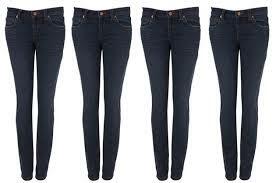 Here’s my another fashion staple – Skinny Jeans. Bago pa man mauso ang skinny jeans, mas bet ko talaga ang flare and boot cut denim jeans. Medyo matagal din bago ako maka-let go sa flare and boot cut. Di ako maka-move on from my college days style and pasyon! SIguro after 2 years pa, yung tipong ako na lang ang nakasuot ng flare at boot cut sa Pilipinas. At nung nagka-skinny jeans naman ako, aba peg na peg! As in favorite ko na sya. Pinagbawal ko na sa closet pag hindi skinny! My first skinny jeans is from Mango for aroun P1,200, then dumating si Forever 21 sa Makati, and they sell skinny Jeans for P495. Kaya syempre naman, since super cheap, I bought all the colors! Here are some of my skinny jeans pegs from Pinterest – nailed it like these ladies! Skinny Jeans + Blazer – corporate ang peg! Mala-royalty ang dating, like Princess Kate! Skinny Jeans + Jacket – mapa-knit or cotton jacket, this never goes out of style. Winner during sweater weather! Skinny Jeans + Loose Top + Accessories (Fedora hat, ladies bag or sunnies), kabogera, fashion na fashion! Skinny Jeans + Shawl – pasok na pasok pang spring or autumn outfit. I love it! Would totally wear this to a casual work setting!